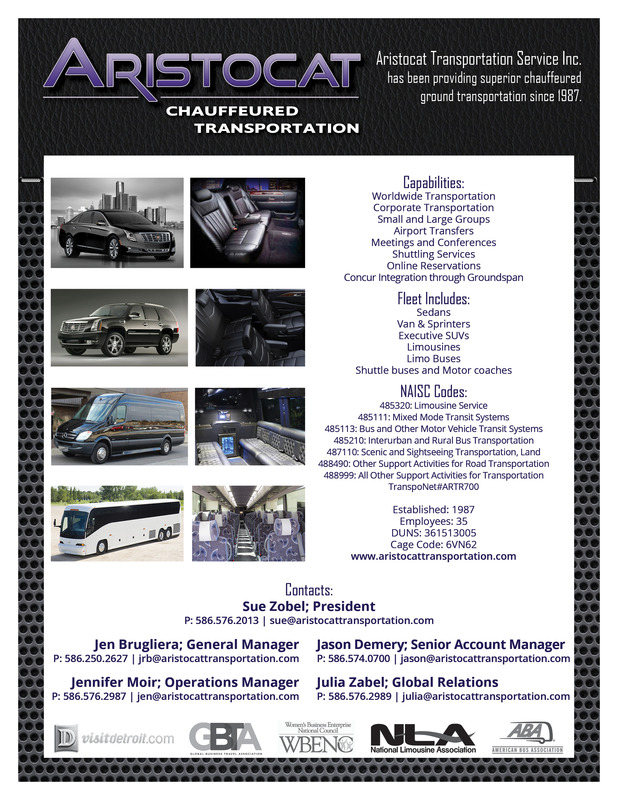 Celebrating more than 30 years in business with a consistent strive of providing the highest quality of luxury ground transportation, locally and globally, to our valued customers. We are a team of transportation specialists offering complete ground transportation solutions for any group size in any city worldwide. Headquartered in Detroit, we offer onsite group coordination, streamlined central billing and personalized itinerary management. From a VIP client to a week-long corporate event, we are here to help make your event or meeting a complete success. Services also include chauffeured ground transportation services for conventions, airport transfers, worldwide transportation, group moves and special occasions.